Sign up with your email address to receive GatewayNaz e-news and updates. 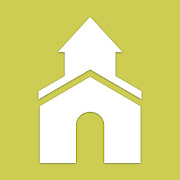 The Gateway online church directory is a great way to contact your fellow Gateway friends. NOTE: you must be in the directory to access it. We value the privacy of our congregants and provide this service for communication purposes only. - This lower space is for you to get in touch with Gateway staff. If you want to receive updates and the newsletter, enter your email address and then click on the sign up button, above. Please enter your email address that you check most regularly, add gatewaynaz.org to your contact list. Please enter a number in this space if you are able to receive a text message. Please enter your house phone number, or N/A if you only have a cell number.. Please enter a brief message, complete with how you wish to be contacted.